Owning a recruitment business 100% and being the master of your destiny is a dream many entrepreneurs and experienced recruiters have, but the reality of managing all the back-office processes; whilst focusing on client business development, candidate management, Credit Control, Marketing, and other money-making activities, is often the downfall of many small to medium sized recruitment companies. Being an independent company, one which you control, has many benefits but operating as a boutique brand within a defined sector specialism, can also be a reason why it becomes difficult to grow. We have found that many customers (Clients and Candidates) seek to work with businesses that have an internationally recognised presence, companies who have scale and come with a pedigree of proven delivery. As fledgling organisation, it is often not practical to employ staff or engage with (often expensive) professionals to provide marketing support, invoicing and accountancy services, training and mentoring, full IT & Telecoms technical support etc. The costs would be prohibitive and many small businesses have to make do with self-service from the boss or their spouse. Clearly not an ideal scenario at all. CNA International Partnerships is part of the Pertemps Network Group, an £800 million turnover network of recruitment businesses that have a 60-year track record of building and supporting growth in the recruitment sector. 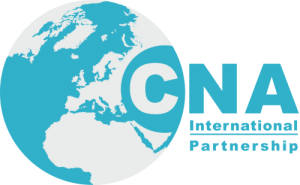 Investing in a CNA Partnership will give you access to a suite of business support services and much more that will leave you free to focus on what you do best…speaking to clients and candidates – networking to generate income and grow your business. What if you’re looking to retire? You’ve built your business but at some point, you’ll want to step back and enjoy the trappings of your success. Pertemps Network Group have the financial strength and buying power to offer CNA partners the exit strategy of Practice Buy-out options. A service not offered by any other recruitment network.